In my last post, I talked about some of my favorite Christmas movies, but today I realized that I totally left out one of the absolute best. I’m talking about Love Actually, of course. Duh, Jess! (smacks forehead). When it comes to love, I’m probably the most cynical, unromantic person you could ever meet. Still, I just love this movie. It made me smile. It made me want to cry. It made me love love (if that makes any sense). For those that don’t know, Love Actually is a romantic comedy that takes place in Britain just before Christmas and revolves around the love lives of several different couples. Some crass humor and potty mouthing makes it not a movie you’d probably want to show the kiddies, but if you’re at the proper age, the movie overall is really good. The stellar cast alone makes it worth seeing: Alan Rickman, Emma Thompson, Colin Firth, Hugh Grant, Rowan Atkinson, Andrew Lincoln, Keira Knightley, Bill Nighy, Martine McCutcheon, Liam Neeson, Laura Linney, Chiwetel Ejiofor- c’mon, how many times are you gonna get THAT much talent together in one single movie? There’s a Buzzfeed quiz going on right now where you can see which Love Actually couple you match up with- that gave me an idea to do a short little blurb post about which of the couples/storylines of the movie are my favorite. If you haven’t seen the movie then this post may not make a lot of sense, but bear with me. There may be spoilers, but maybe they’ll just make you want to see it for yourself. Honestly, Jamie (Colin Firth) and Aurelia (Lucia Monez)’s relationship is a VERY close second to David and Natalie’s for me. Which is weird, considering my cynical view of romance and love. Two people who don’t even speak the same language fall in love over the course of a few weeks and after taking secretly taking Rosetta Stone courses in each other’s languages, decide to get married. Is this something I think is a good idea in real life? No, probably not. In real life, I’d probably give Jamie and Aurelia one year, tops before they call it quits.But this isn’t real life- it’s a movie. They have real, tangible chemistry. Maybe it IS possible to fall in love with someone you can’t even talk to in your own language-I doubt it, but it wouldn’t be the first time I would be wrong about something. And it’s Christmas. So, I’m just gonna say that it was a wonderful, romantic idea and that Jamie and Aurelia will be together forever. My third ranked Love Actually couple may be a bit of surprise; it’s Harry (Alan Rickman) and Karen (Emma Thompson). For those that have seen the movie, I know you may be scratching your heads, thinking, “Huh? But Jess, remember how their storyline ends?” I know. Just lemme explain. Harry and Karen were the only couple in the movie that had been together in a stable, long-lasting relationship at the start of the plot. Their ‘love actually’ isn’t a picture of what happens when love comes along, but more of a look at what happens when love is tested, when it begins to fade, or even when it’s completely betrayed. It’s not pretty. It hurts. Badly. I’m not sure if I’ll ever forgive Harry/Alan for that scene in the bedroom where Emma/Karen is crying by herself. It made my eyes water- and making me cry about anything is nigh to impossible. Their story is the most heart-wrenching part of the Love Actually…but it’s also the most realistic. Linzer sandwich cookies are a permanent piece of my childhood at Christmas. We made them every year-or rather, my mom did. I just stood next to her at the counter top, helped spread the jam on the bottom of the cookie and smushed them together. Then I ate them. Now, I get to do all of the above. The cookies themselves have a wonderful flavor from the toasted almonds.The texture is tender, but with a slight crumbly bite- almost like a teatime biscuit. The subtle nutty flavor of the cookie is complimented wonderfully by the sweetness of the jam sandwiched inside. It was a favorite for me back in the day, and it hasn’t lost any points since then, let me tell you. 1. Heat oven to 350° F. Spread the almonds on a baking sheet and toast, tossing occasionally, until fragrant, 6 to 8 minutes; let cool. 2. In a food processor, process the almonds and ¼ cup of the brown sugar until the almonds are finely ground. 4. Using an electric mixer, beat the butter and the remaining ¼ cup brown sugar on medium-high speed until fluffy, 2 to 3 minutes. Beat in the egg and vanilla. Reduce speed to low and gradually add the almond mixture, then the flour mixture, mixing until just combined (do not overmix). 5. Divide the dough in half, shape into two disks, wrap in plastic wrap, and refrigerate until firm, at least 3 hours or preferably overnight. 6. Heat oven to 350° F. On a lightly-floured surface, roll out each piece of dough to a ⅛-inch thickness. Using a 2- to 2 ½-inch round cookie cutter, cut the dough into rounds and place on parchment-lined baking sheets, spacing them 1 inch apart. Using a ¾- to 1-inch round cookie cutter, cut out the centers from half of the cookies. Reroll and cut the scraps as necessary. 7. Bake, rotating the baking sheets halfway through, until the edges are golden, 10 to 12 minutes. Cool slightly on the baking sheets, then transfer to wire racks to cool completely. 8. Sprinkle the confectioners’ sugar on the cookies with the holes. 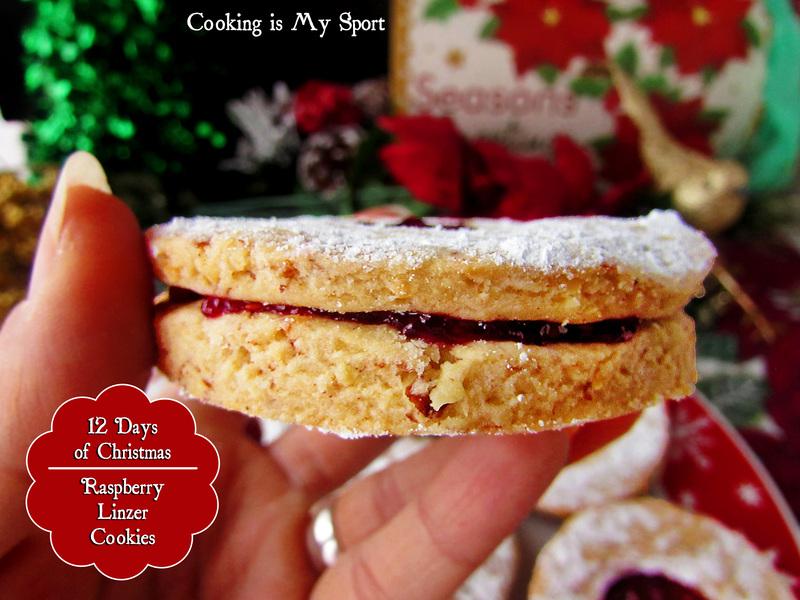 Spread 1 teaspoon jam on the remaining cookies and top with the sugared cookies. Store the cookies in an airtight container at room temperature for up to 5 days. Really love linzer cookies and the torte as well. It really is such a beautiful, festive cookie. They sound and look amazing! I love Linzer Torte anyway, but the toasted almonds make it even better! I love your cookie recipe. It’s so festive. Thank you for posting it. 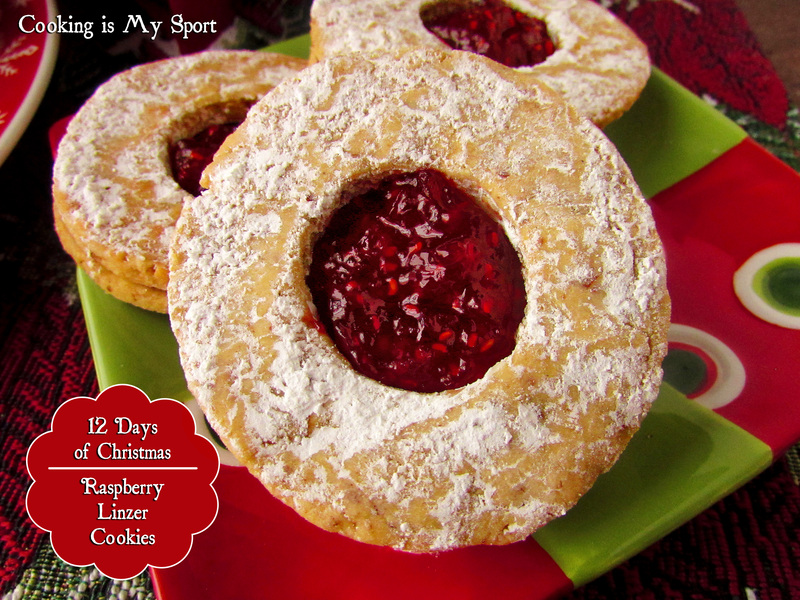 Awesome Cindy- I hope you can make it a tradition, Linzer cookies are so delicious. Thanks for stopping by! 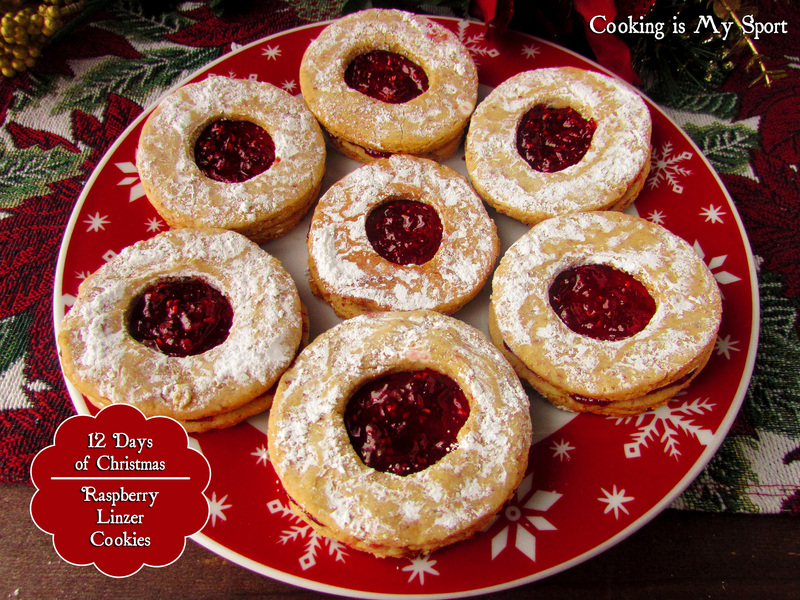 Your Linzer cookies look amazing. Beautiful cookies, so festive, I’d want to keep coming back for more. These coolies just say hey its CHRISTMAS. So pretty and look delicious. 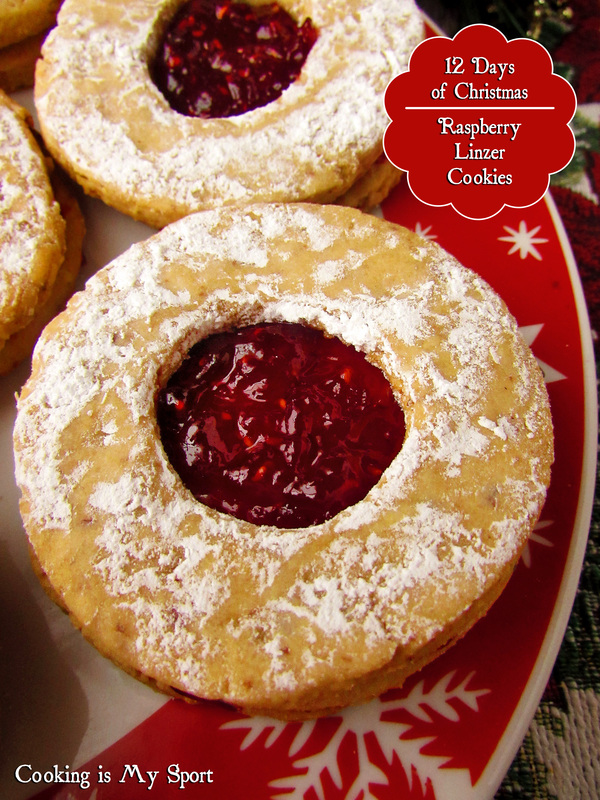 Loveee linzer cookies, but never made them myself. These look fantastic. This was my first time making them from scratch- not bad for a first time, I think. Thank you so much Sadia! Jess, your cookies are all gone and I have only eaten 4. I want more so you need to make more. 😛 These cookies look so good and pretty. Happy FF! Oh no, Jhuls! I’ll get RIGHT on that asap lol Thank you, Happy Fiesta Friday! I think my favourite couple is Jamie and Aurelia, but I may be swayed by my love for Colin Firth! These cookies look delicious, definitely a great accompaniment to a Love Actually rewatch! Colin Firth will always have a special place in my heart for no other reason than that he will always be my Mr. Darcy lol Thanks Michelle! 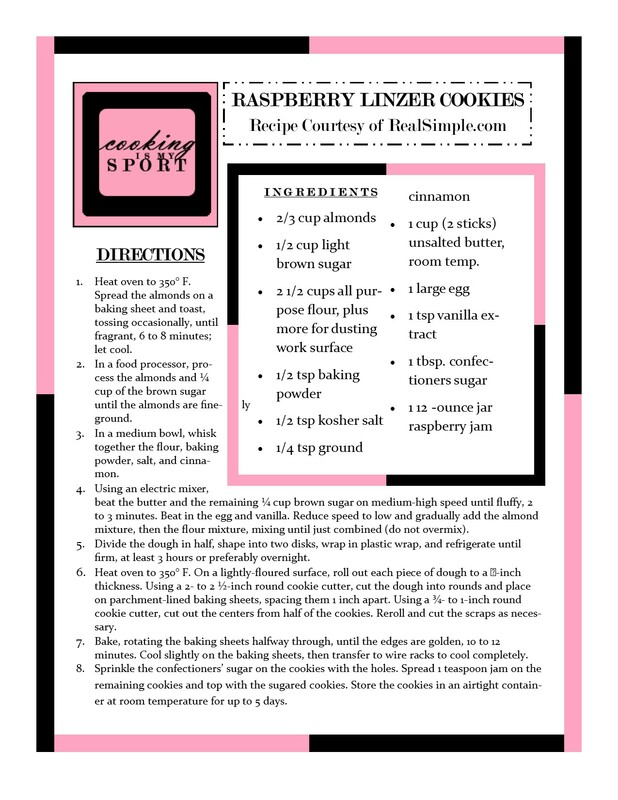 I also love linger cookies, and Linzer torte too. 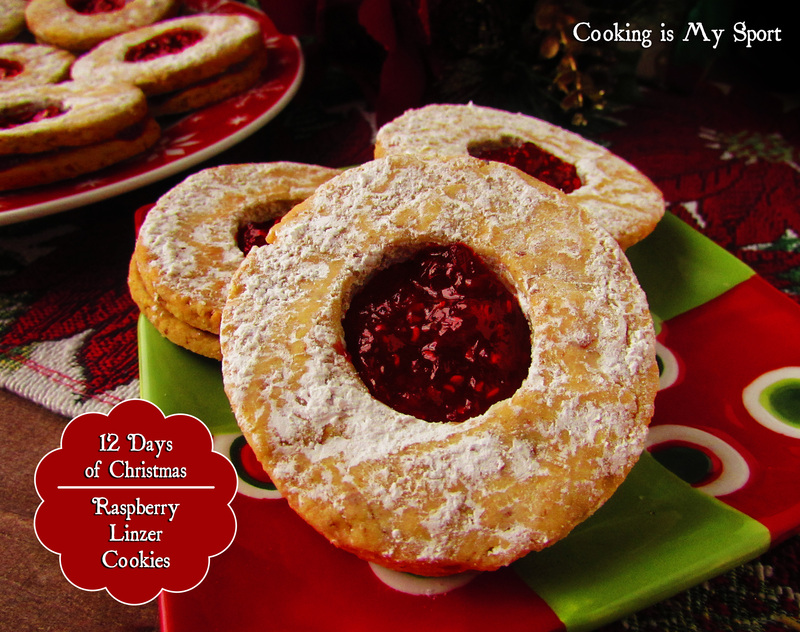 This year I made Linzer cookies as well, using mini Christmas cookie cutters to cut out the inside for a festive look. Merry Christmas! Merry Merry Christmas to you as well- thank you!